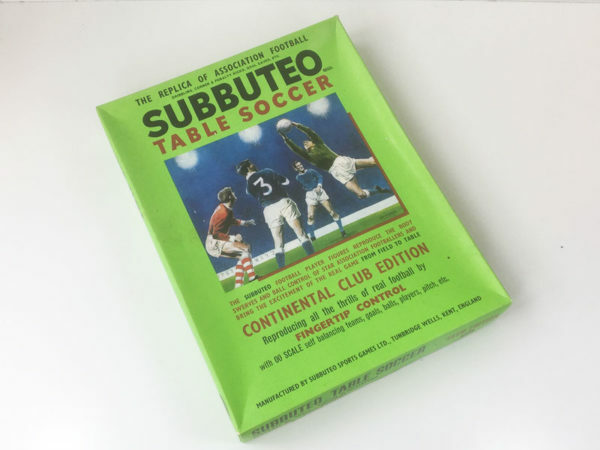 This vintage Subbuteo Continental Club Edition dates from the early 1970’s. 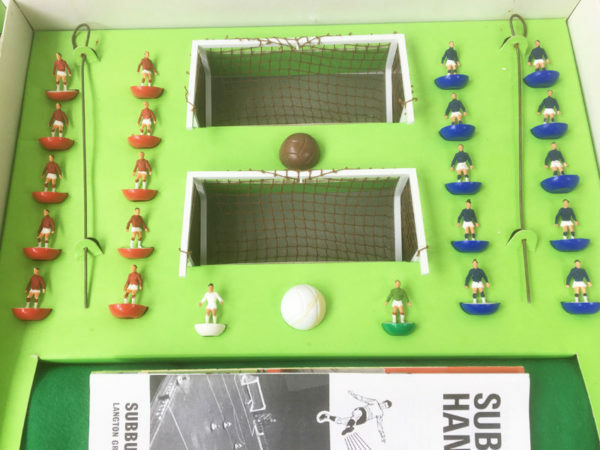 The game comes from a private collection and has only been used once or twice. The game is complete and in superb condition throughout. 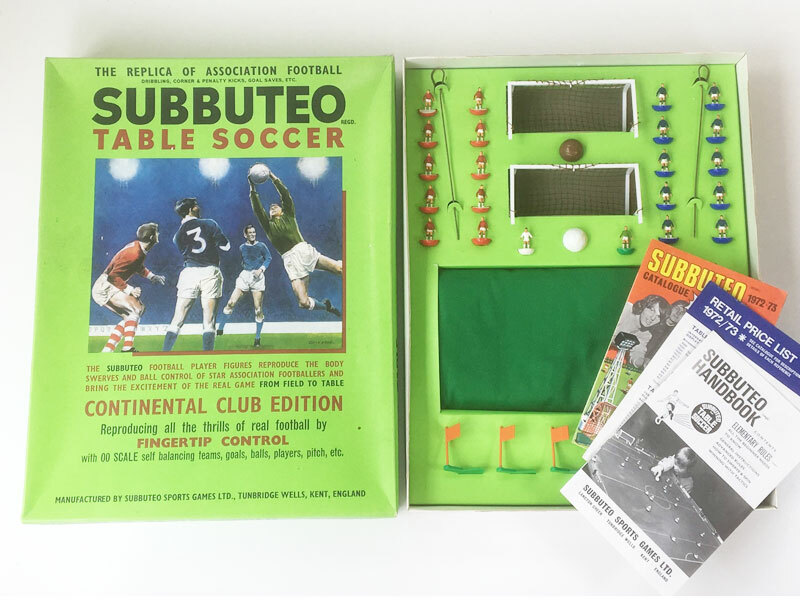 The players and contents are in ‘near mint’ condition and the box is in excellent condition with very little storage wear. Player figures: Near Mint (Grade: 9.5) No damage or repairs. Virtually no paint loss. Box: Excellent (Grade: 9.0) Slightly concave lid and a couple of very small marks.